The closing is the final step in the real estate process with a property transferred from the seller to the buyer. The title attorney or title company collects and disburses all funds and records the deed to the buyer in county records. The seller will receive a check for the net proceeds on the day of the closing. When you are finally ready to close on your house, get the keys and move in, it is a time of excitement. Some buyers, especially those who are new to the process, may be having feelings of panic. Closing on a home is a stressful event. The anticipation of signing many legal papers, all in fine print, can cause anxiety to anyone.. There will also be closing costs to deal with. Being knowledgeable and prepared can help ease some of this stress. Closing costs are fees associated with the closing process. Some fees are incurred by the buyer, and some are incurred by the seller. It is crucial for you to know what these costs include and what you are expected to pay at the closing. It is always advisable to obtain an estimate of costs from your real estate agent or your title attorney so you know what to expect before committing to the transaction. What Happens Before the Closing? From the moment you make an offer to buy a house, the wheels are turning to ensure the process of closing the home is as seamless as possible The closing date is stated in the contract as agreed by the buyer and seller. The time between contract signing and closing is referred to as the “pending” period. During this period the title work is performed, appraisals and home inspections are conducted, and the mortgage is being obtained. What Happens on the Day of the Closing? The buyers will provide a check for the amount owed toward the purchase price of the house. The seller will sign a deed over to the buyer to officially transfer ownership to the buyer. The seller will turn over all keys to the buyer. The title company will register the new deed showing the new homeowner’s name on the recorded deed. The seller will receive any monies earned from the sale of the house minus their mortgage balance and closing fees. 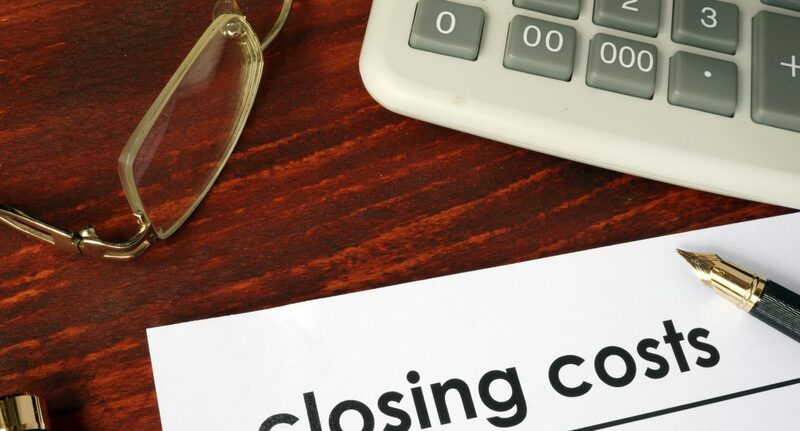 How Much Can I Expect to Pay at Closing? Loan origination fees are upfront fees charged by the lender to process your loan. These fees range from .5 to 10% of the mortgage price. Appraisal fees are paid to the professional appraiser to evaluate your home to assess it and estimate its market value. A typical appraisal ranges in cost from $300 to $500. Title searches: Our office will research the title to the property to ensure there are no liens, claims or restrictions on the property and costs $100 – $125.. Title insurance protects you from financial loss if you are subject to any defects you discover after you acquire the property. A property survey will usually be required by your mortgage lender. A surveyor will evaluate your property will draw out a map showing property limits, setbacks, easements, encroachments and other property details. These fees depend on the complexity of the survey. Closing costs account for a prorated share of the property tax. The deed is recorded in county records showing the purchaser as the legal owner of the property and recording fees and transfer taxes are paid at that time. With over 50 years experience as an attorney, Richard S. Weinstein assists clients with the important financial situations in their lives. Whether you are dealing with bankruptcy, real estate (both commercial and residential, including short sales, foreclosures, and title insurance), estate planning, probate, business formations, or sales or mergers, Richard S. Weinstein is the attorney with the education, experience, and knowledge you need! Call us at (561) 745-3040 or visit his website at rweinsteinlaw.com. (Next Entry) Deeds vs. Titles: The Two Are Not Interchangeable – What is the Difference Between These Two Real Estate Terms?